Florence is famous all over the world for being the cradle of the Renaissance and for its museums which house masterpieces of the most important artists of all time. Among its museums, the most important and the most famous in the world is the Uffizi Gallery. The Uffizi Gallery boasts the most beautiful art collection in the world and the palace housing it is the first public museum in history. The first time I entered this museum I had the feeling I hadn’t enough time to see all the works of art I wanted; whereas the second time I made a selection and I focused only on the works I considered to be unmissable. In this post I collected the pictures of the masterpieces you must see if you visit the Uffizi Gallery. 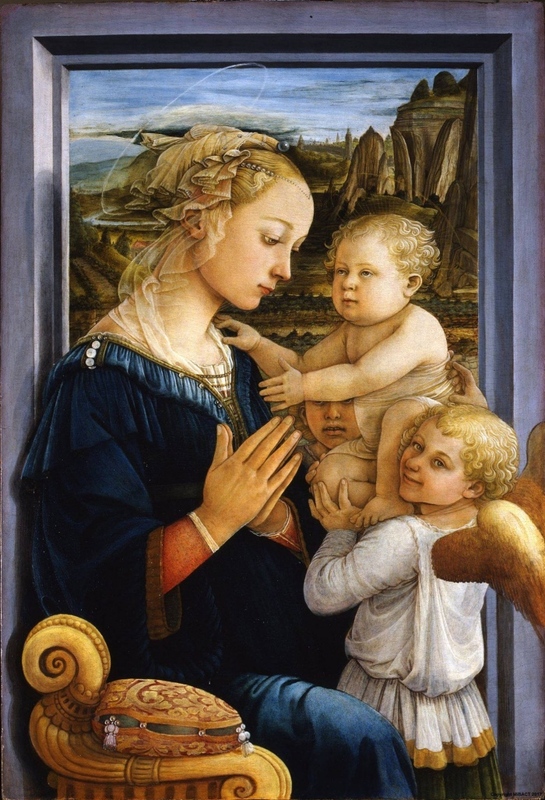 Filippo Lippi, Madonna col Bambino e due angeli (1460-1465 c.). Mary’s gaze is sweet and melancholy, as if she had already understood everything about her son’s destiny. Some scholars hypothesize that the model that Filippo Lippi used to paint the face of the Virgin is that of Lucrezia Buti, the nun who became his wife. Artemisia Gentileschi, Giuditta che decapita Oloferne (1620 circa). 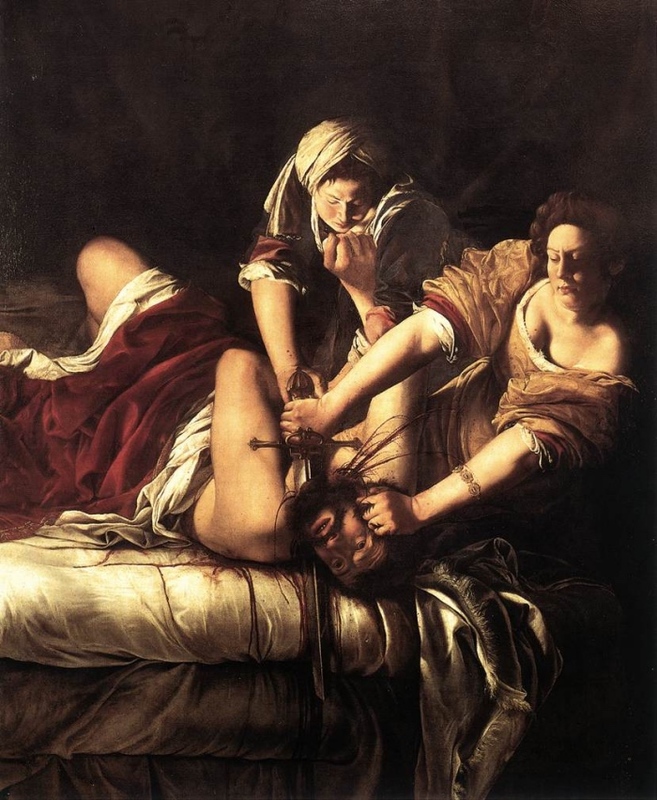 Artemisia Gentileschi is one of the best known and appreciated Italian painters of the seventeenth century, who followed the Caravaggesque school. At that time, when it was not easy for a woman to establish herself as a painter, Artemisia was the first woman to become part of the Academy of Arts and Design in Florence. The canvas was probably painted for Cosimo II de ‘Medici and completed in Rome just after Artemisia’s return, after seven years spent in Florence. Agnolo Bronzino, Ritratto di Lucrezia Panciatichi (1541 circa). 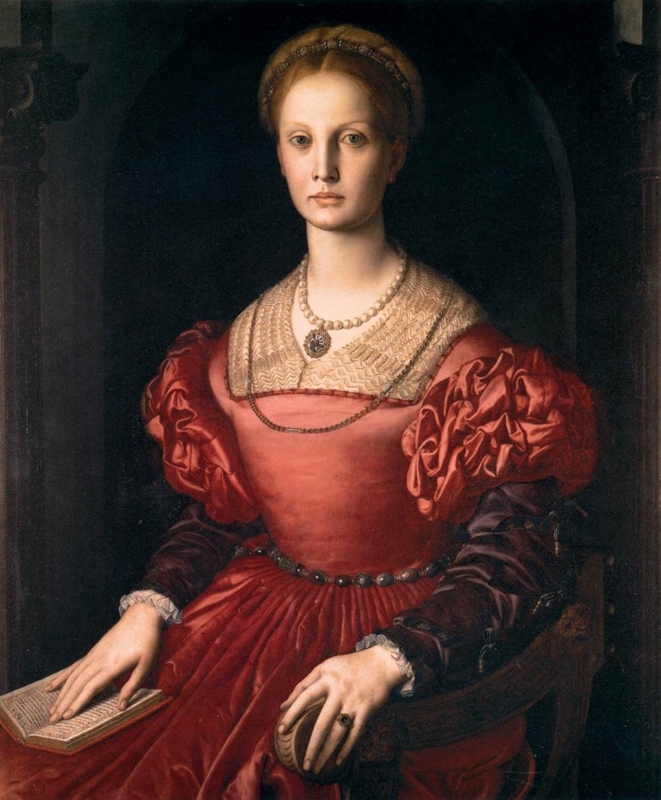 Lucrezia belonged to one of the most influential families of Pistoia, of which an important branch settled in Florence starting in the sixteenth century and settled in Florence. This painting was executed in 1541 by Bronzino and is kept in the Uffizi along with a portrait of Lucrezia’s husband, Bartolomeo Panciatichi, made by the artist himself. The portrait of Lucrezia is one of the icons of the sixteenth century portraiture. 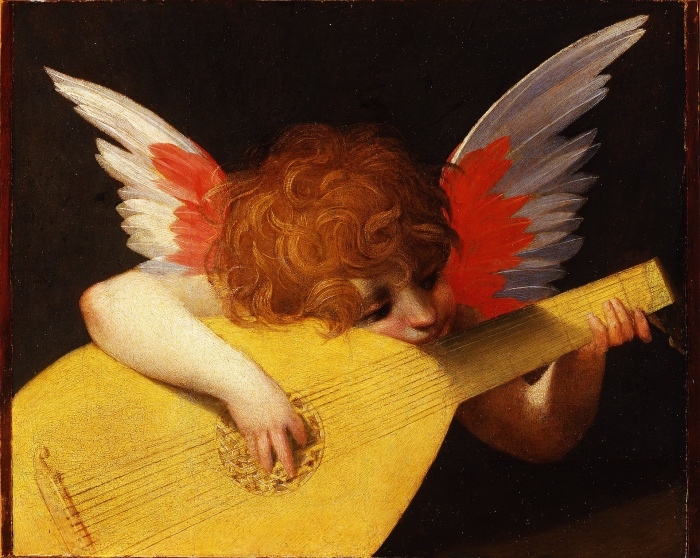 Rosso Fiorentino, Putto che suona (1521). The work has long been considered as a single but the restoration of 2000 has allowed us to understand that it is a detail taken from a larger blade. The dark background hides in fact the parallel incisions of the design of some steps, on which the angel was sitting, probably at the foot of a throne of the Virgin with the Child. Impossible, at least for the moment, to know what was the work in which this angel was placed. 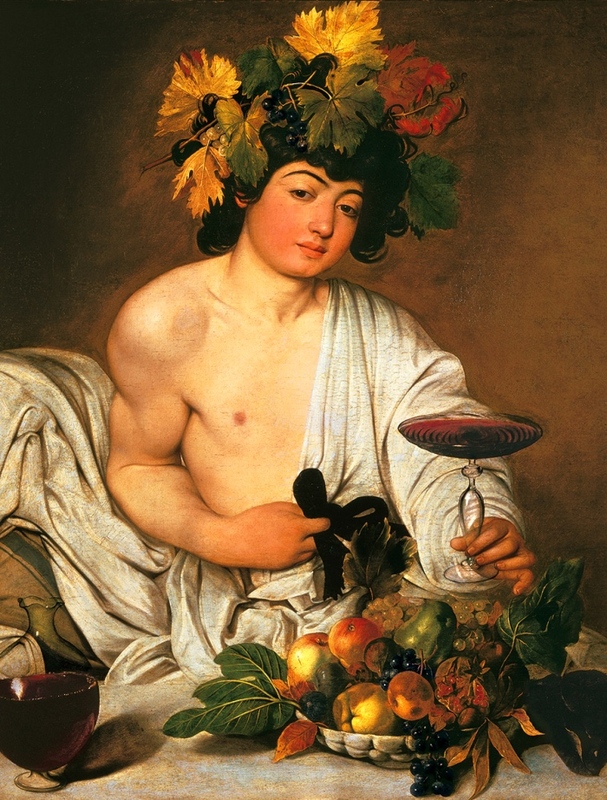 Caravaggio is the protagonist of a Uffizi room where, among other masterpieces, there is also the famous “Bacco”. Commissioned by his patron, Cardinal del Monte, as a gift for the Grand Duke of Tuscany Ferdinando I, and painted between 1596 and 1597. Recent restorations have highlighted within the carafe of wine a face of a man who is believed to be the self-portrait of the same artist. Caravaggio, Medusa (1598) dettaglio – Uffizi, Firenze. Caravaggio paints a look of terror, a chilling cry, of snakes that move crazy and a river of blood that flows from the head of the Medusa. 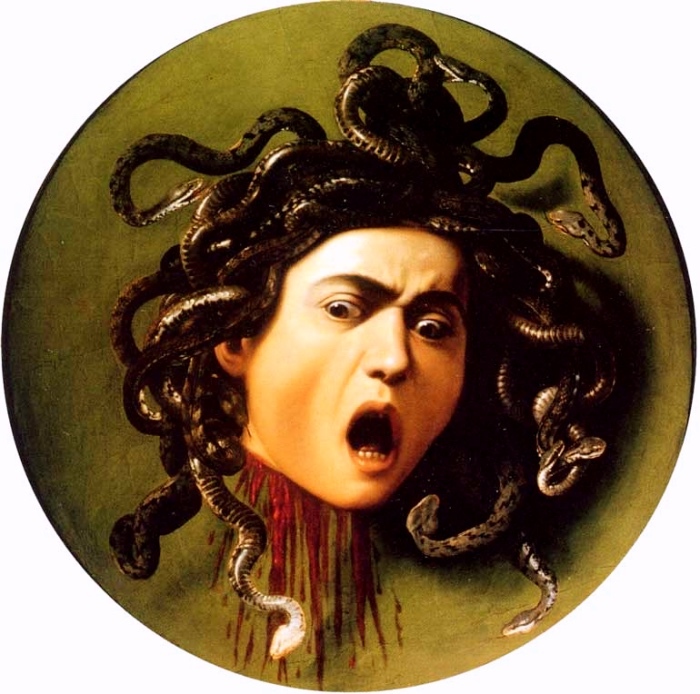 Medusa was monstrous, turning people into stone and Caravaggio painted her on a combat shield. Not a real shield, obviously, because this work was a gift from Card. Del Monte (always he, the protector of Caravaggio) for the Grand Duke of Ferrara I de ‘Medici. Raffaello, Ritratto di Leone X con i cardinali Giulio de’ Medici e Luigi de’ Rossi (1518). This painting was made for the marriage of Lorenzo Duke of Urbino with the French noblewoman Madeleine de La Tour d’Auvergne. The marriage was celebrated in Florence in 1518 and Pope Leo X, uncle of the groom, unable to participate sent this work. 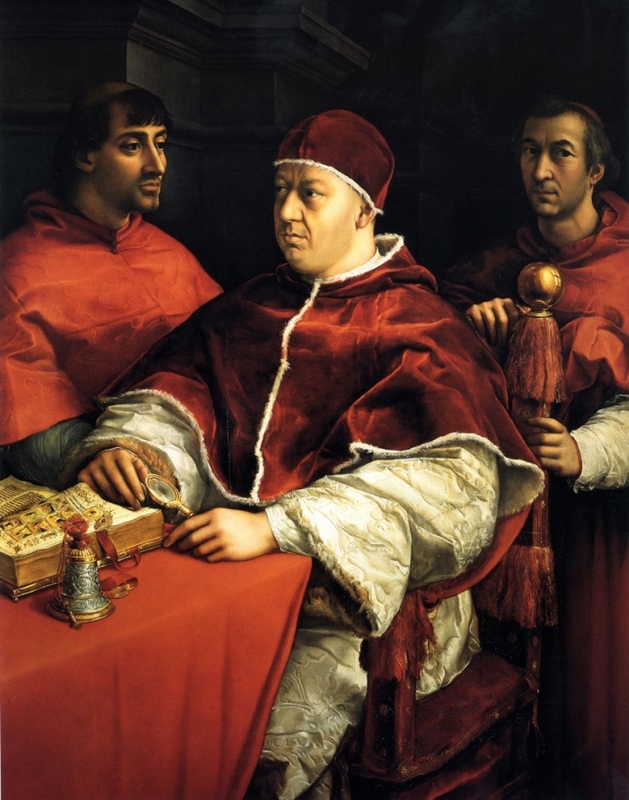 In the beginning the work contained only the portrait of the Pope, while in a second moment the portraits of the two nephews behind him were added, perhaps made by Giulio Romano, the most promising pupil of Raphael. La Venere di Urbino di Tiziano Vecellio. The Venus of Urbino is one of the most sensual works created by Tiziano. It was bought by Guidobaldo della Rovere, Duke of Camerino, at the artist’s workshop in 1538. It was one of the most famous paintings of the 16th century and in fact numerous copies and reproductions were made during the following centuries. The work was commissioned by Agnolo Doni, who wanted a representation of the Holy Family. 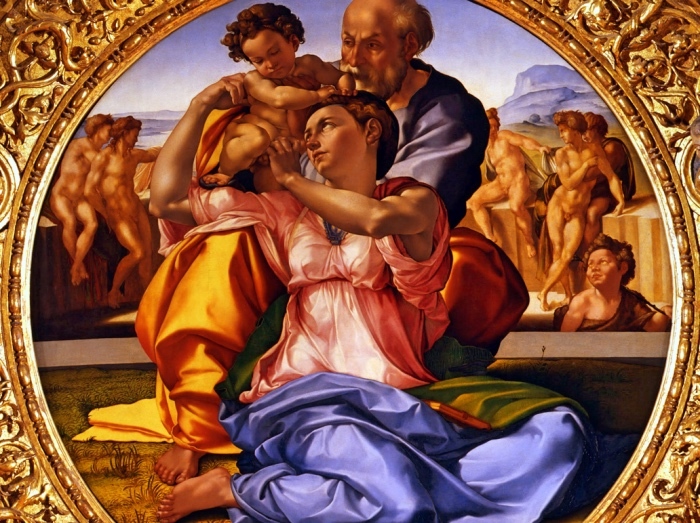 The importance and the beauty of this painting consist of the composition studied by Michelangelo, which places Mary, Joseph and Child Jesus at the center as if it were a sculptural group. 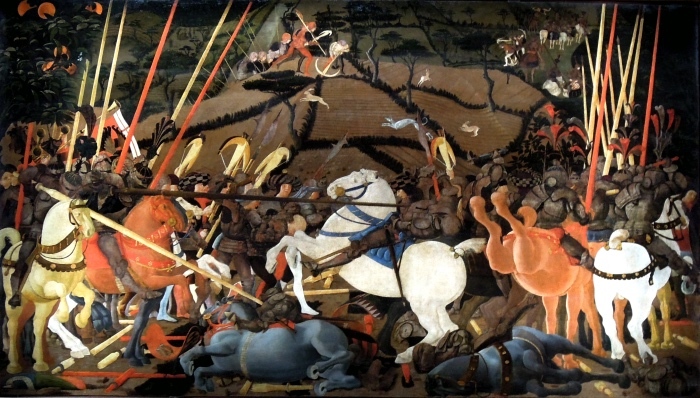 Paolo Uccello, Battaglia di San Romano (1438 circa). This painting is the central part of a large triptych painted by Paolo Uccello in about 1438, today divided between the Uffizi Gallery, the National Gallery in London and the Louvre in Paris. The cycle illustrates the phases of the battle of San Romano that took place in 1432 between Florentines and Siena and saw the victory of Florence. The work was painted for the rich Bartolini family but in 1492 it already appeared in the inventory of the properties of Lorenzo de ‘Medici, called the Magnificent. What makes this great cycle important is the experimental and daring use of perspective, which made Paolo Uccello famous among his contemporaries. One of the most famous works preserved in the Uffizi is Botticelli’s Birth of Venus. The commissioner of the work was Lorenzo di Pierfrancesco de ‘Medici, cousin of Lorenzo the Magnificent, who was also the same person who had commissioned Botticelli also the Spring a few years earlier (dating back to around 1482). To see the Uffizi, I recommend booking tickets to avoid the queue at the entrance. 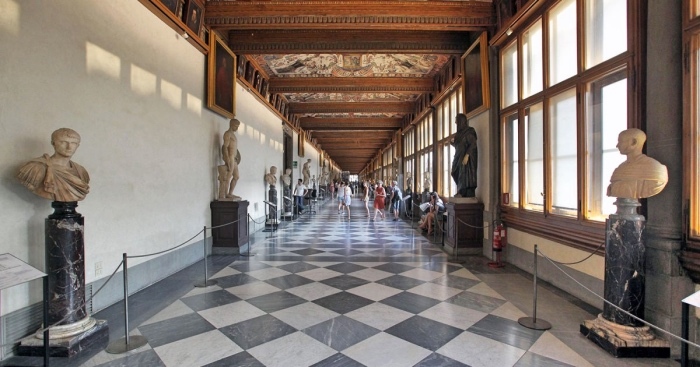 The Uffizi Gallery is located in the historic center of Florence and getting there is very easy. The reference point to get there is the Piazzale della Stazione Central Santa Maria Novella. From here it takes ten minutes to walk and you are in front of the Uffizi.